Hedsor House is an award-winning wedding and event venue, set within 100 acres of historic parkland just 45 minutes west of London. 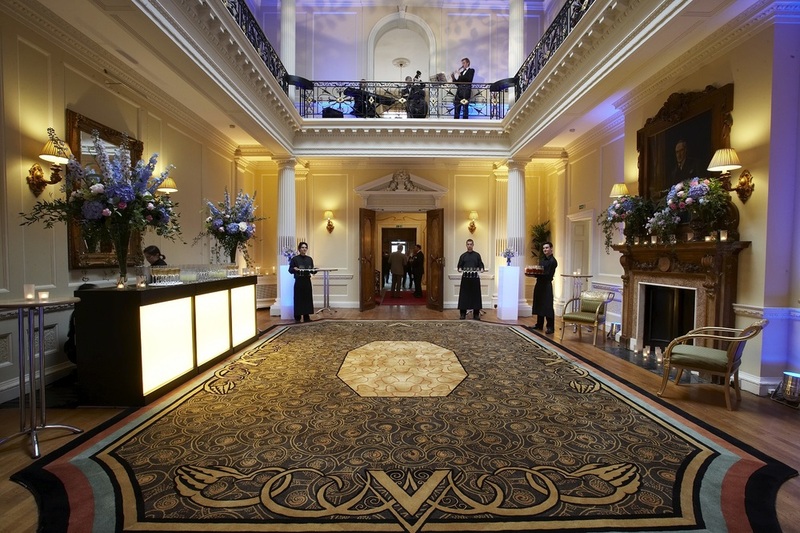 Historic Hedsor Park provides the ideal backdrop for all manner of events, from elegant weddings to spectacular parties and corporate away days. The house and grounds have become one of the UK’s most extraordinary and prestigious venues, and we are suitably proud of recently achieving such accolades as Tatler’s No 1 Top Venue and Eventia’s Event Venue of the Year. Located close to all the amenities of London and yet nestled in 100 acres of green parkland, we believe that once you visit Hedsor House, you will feel a million miles from the hubbub of the city. Indeed, as you and your guests make your way up our kilometre-long driveway, past our striking Highland Cattle, colourful rhododendrons and sweeping fields of bluebells, you will feel as though you are entering the most traditional of English country estates. But Hedsor is far from stuffy and old-fashioned. Throughout the estate’s history, it has always been a place to gather, celebrate, see and be seen, and the Shephard Family are keen to preserve this reputation. We have hosted a remarkable range of high profile events and become known as the 'playground for partygoers'. Clients include a veritable who’s who of huge global brands and celebrities, from the BBC to Johnny Depp, and Mark Ronson to Mercedes-Benz. As an exclusive use venue, Hedsor House can become your very own quintessential stately home and country playground for 24 hours - or as long as you please! When your wedding, event or celebration has come to an end, there’s no rushing to gather belongings and arrange taxis to leave the estate. Your guests can simply climb our Grand Staircase and retire to one of our eleven beautiful bedrooms. Nestled on the first and second floors of our Georgian stately home, each generously proportioned bedroom is the perfect blend of period style and modern facilities. The rooms, featuring luxurious interiors, panoramic views of Hedsor Park and comfortable furnishings, have all been carefully designed to inspire and relax our guests. We would be delighted to discuss your event requirements. Please contact us and we would be delighted to arrange a tour of Hedsor House at a time that suits you. Read more about the history of Hedsor House.